These days it seems like everyone is making money online. You can’t log onto social media without seeing an ad for some get rich quick course or a photo of someone “working” from their laptop while sipping coconuts on the beach. Unfortunately, as the saying goes, if it looks too good to be true it usually is. Most of the ways these people make money traveling involve spammy tactics that only focus on the short term. It’s unsustainable and unrealistic, highlighting only the end results but never the process. In short, they are a waste of time. If you want to be your own boss and make money traveling or start a career in travel you’re going to need to put in a lot of work. Because if it was easy, everyone would be doing it! Fortunately, there is still plenty of room in the travel industry for new bloggers, writers, vloggers, and travel photographers. While this is no get rich quick industry, it is 100% possible to make money travel writing or blogging as you travel the world. It takes time, it takes effort, and there is a lot to learn. But it is definitely possible. On top of that, if you’re not looking to work online but rather work overseas then you have plenty of options as well! 1. 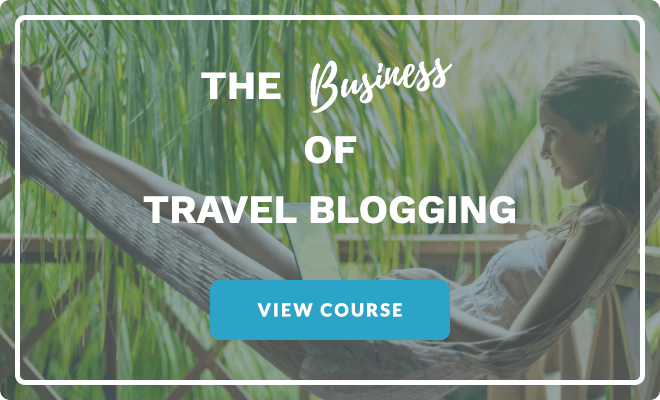 Start a travel blog – While there are more travel blogs on the internet now than there ever have been before, there is still room for fresh, captivating, and informative content. Why? Because most of the travel blogs out there just aren’t very good! Time after time I see people dive into travel blogging without the proper skills or mindset. They view it as an easy way to make money, instead of the long-term business project that it is. For that reason, there is plenty of room for new bloggers to join the industry — as long as they plan and prepare accordingly. 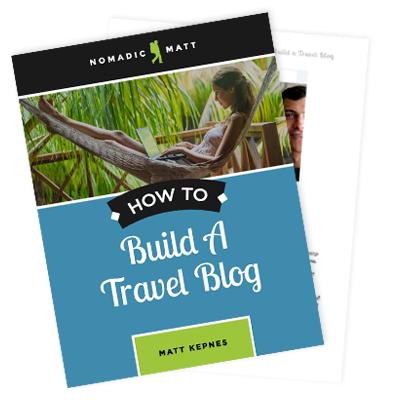 By treating your blog like a business from day one you’ll be miles ahead of the competition. While it takes time to make money as a blogger, it is definitely still possible. By learning from other bloggers’ mistakes, you can jump ahead of the competition and get on your way toward travel and financial freedom — especially if you have the right help! 2. 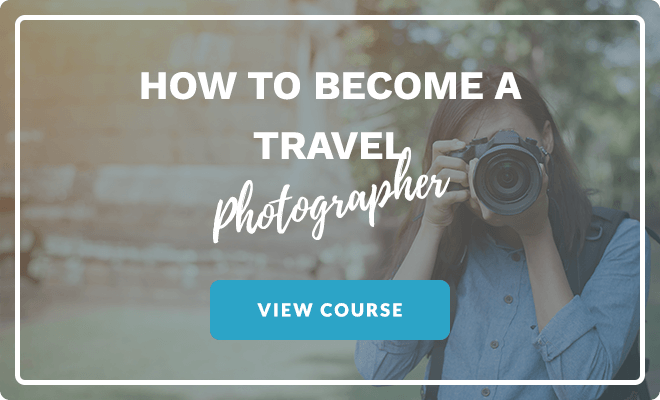 Become a professional photographer – If you’ve got a knack for taking quality pictures then you’re already on your way toward starting a career as a travel photographer. There are dozens of different routes you can take on the road to travel photography success, such as leveraging your social media to work with brands, securing paid gigs as an event photographer, creating an online course to help new photographers, or running photography tours around the world. With social media platforms like Instagram dominating the market, and with companies always on the lookout for quality content, building a brand in the travel photography niche has never been easier. If a career in photography is something you’ve thought about, then travel photography might be the career path for you! 3. Start a vlog or YouTube channel – Video is one of the fastest-growing areas of the travel industry. As vlogging cameras become more and more affordable and user-friendly, starting a travel vlog and YouTube channel has never been simpler (you can even start a vlog with just a smartphone these days!). 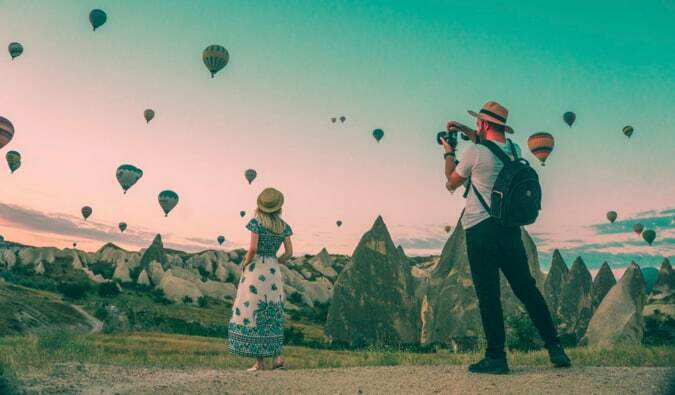 Whether you want to showcase beautiful destinations or share your own tips and stories, vlogging gives you the space to bring your travel vision to life. With monetization on YouTube being an incredibly straightforward process, and with brands always looking for high-quality video content, there are plenty of ways to make money as a vlogger or YouTuber. 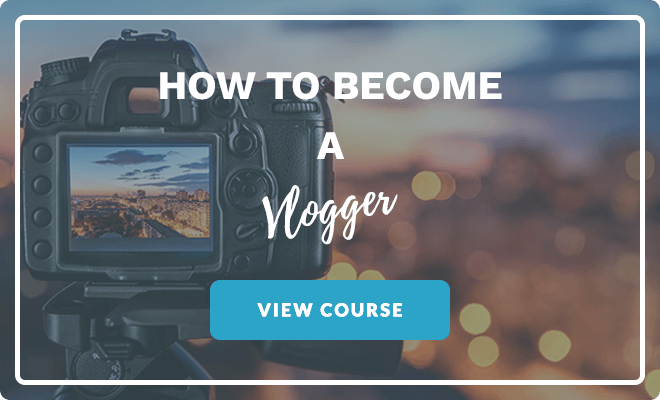 While there is a lot of competition on YouTube, by learning the right skills you can get ahead of the curve and start your vlogging career today! 4. Learn to be a travel writer – Roaming the world, hunting for stories, interviewing diverse people around the globe. 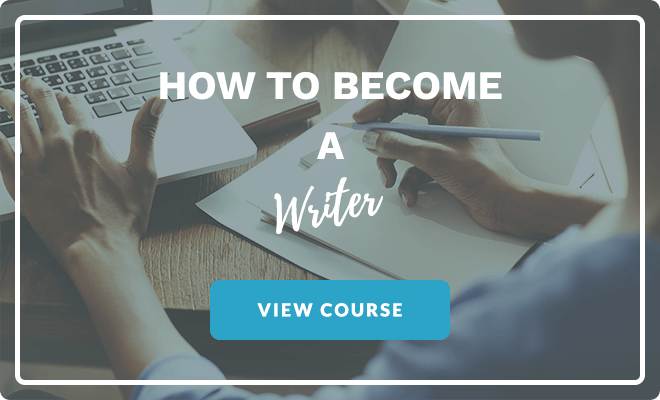 The life of a travel writer isn’t for everyone, but if crafting descriptive and enticing stories is your preferred medium then this might just be the career for you. Being a freelance travel writer gives you the ultimate independence, letting you travel the world in search of nuanced stories and captivating perspectives. Newspapers and magazines need fresh content every day for their online and print publications, giving you ample opportunity to start making an income as a travel writer. On top of that, guidebooks are always looking for new content, not to mention the fact that you can even write your own books as a travel writer. By honing your skills as a travel writer you’ll open the door to a whole new world of stories, opportunities, and adventure. 5. Work as a digital nomad – Nowadays there are plenty of companies who hire remote workers for jobs like graphic designers, accountants/bookkeepers, coders, social media managers, and much much more. If you work at a computer, there is a good chance you can transition your position into a remote one. Whether you use your skills to work for an existing company or branch out on your own as an entrepreneur is up to you. Just know that there are plenty of remote opportunities out there if you’re willing to learn the skills and take the initiative. If you already work for a company doing a job that you think could transition into a remote position, talk to your boss and ask to do a trial run. This will let you test the waters and see if remote work opportunities are both feasible and something that you would enjoy. Fiverr – This is considered the budget version of Fiverr, so while you won’t make as much money here, the jobs are usually a bit less challenging or intensive. 99 Designs – If you’re a designer, this is the top-rated platform for finding freelance clients. I’ve used this in the past, as have big names Like Tim Ferriss, so it’s a solid option if you’ve got a knack for design. Cambly – This is a great place to start teaching English online in a simple and straightforward way. The pay isn’t amazing, but the hours are flexible! You can read more about it in this review. 6. Get seasonal work – It’s always the tourist season somewhere! Travel with the seasons and find work at ski resorts, as a camping guide, on boats, in restaurants or bars, or in hotels. There are tons options for temporary (and relatively unskilled) labor as long as you’re willing to go to where the tourists are. Just make sure you get to your destination before the busy season starts so that you can secure a job early. If you’re not sure what options are available, ask around at hostels in the area and they will be able to point you in the right direction! 8. Work as a tour guide – Have a knack for history? Don’t mind speaking in front of groups? If that sounds like you, well then you can simply use your love of travel to work in travel! Tour companies are always on the lookout for new tour guides as there is high turnover in the industry. This is a fun (albeit tiring) means of making money while traveling. While the pay isn’t great, you get your expenses paid while on the tour and get to meet people from all over the world. Just keep in mind that some require a long-term committment. As long as you’re willing to learn the right skills and put in the work you will be able to make money traveling. While the travel industry is not a field for getting rich quick, it is a rewarding industry that will allow you the freedom to see the world on your own terms. Travel has never been more accessible than it is today. It’s a multi-billion-dollar market that is growing by the day. And as more and more people start to travel the world, the need for more people working in the travel and tourism industry will grow. Don’t miss out on your chance at travel and financial freedom and independence. If you want to be your own boss, travel the world, and start a career in the travel industry then be sure to give each of these options some thought. Travel and financial freedom can be yours. All you need to do is take the leap!